The Apple TV's limit of one paired Siri Remote is holding it back...and preventing the iPhone from acting as that second Siri Remote. The fourth-generation Apple TV has a lot going for it. 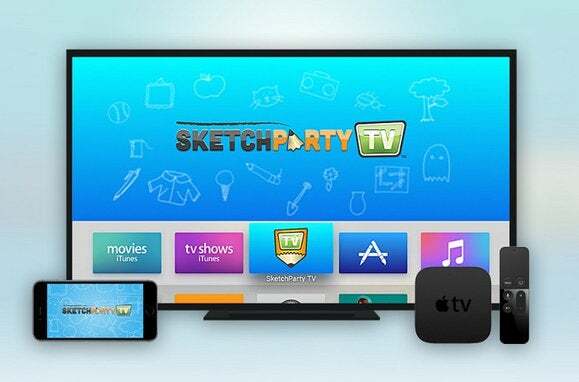 In the past couple of weeks I’ve used the Plex app to view video encoded in a format never before playable on Apple TV, had a Wii-style experience swinging along with Beat Sports, and enjoyed a lot of laughs with my family while playing several rounds of SketchParty TV. Most of the complaints I’ve seen about the device have had more to do with setup in general, and the input of text like email addresses and passwords in particular, than with the rest of the device experience. My setup process was pretty rocky, for sure. And the shame is, it could’ve all been mitigated with the addition of one thing: my iPhone. 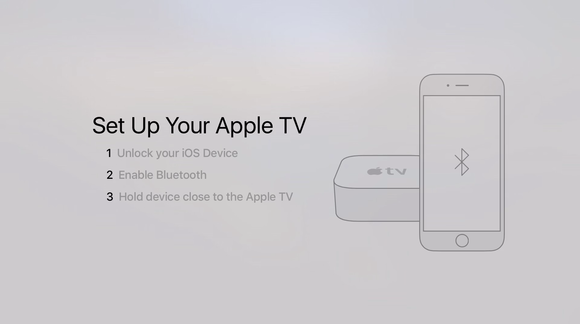 The iPhone can help you set up your new Apple TV, but after that you're on your own. To Apple’s credit, it assumes that most Apple TV users will have an iPhone and integrates the iPhone into the initial setup experience. (There’s a more manual setup process if you don’t have an iPhone.) New Apple TV owners are prompted to hold their iPhone next to the Apple TV to connect the two devices, at which point they can use their iPhones to log the Apple TV into the local Wi-Fi network and connect to their Apple ID. It’s a great idea, and it worked flawlessly for me. But the rest of my setup experience required me to enter in my email address and long passwords full of symbols and upper- and lowercase letters numerous times. That was the core of my frustration, and it’s where Apple can make the entire experience better by making the iPhone an (optional) extension of the Apple TV. If this sounds familiar, it’s because previous generations of Apple TV could connect to iOS devices via Apple’s Remote app. 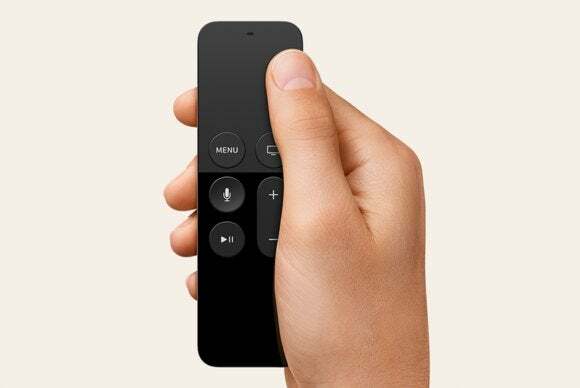 In an experience similar to what we get today with the fourth-generation Apple TV’s Siri remote, you could even swipe your finger around on the iPhone screen to navigate through menus. And when the Apple TV interface prompted you to type some text, up would slide a keyboard on the iPhone, so you could avoid laboriously “typing” text by sliding a cursor back and forth across a keyboard on your TV screen. The Remote app for iOS even has an Apple Watch version, making it a double shame it doesn't work with the new Apple TV. The iPhone can emulate the features of the Apple TV’s Siri remote: It’s got a microphone, touch surface for tracking, and motion sensors. Yes, it lacks the Siri remote’s physical buttons—and I’m a firm believer that physical buttons are vitally important for any remote control, because the last thing you need to do when you’re watching a movie is look away from the screen to make sure you’re pressing the right area of your remote. But the iPhone can do the Siri remote one better by putting up an onscreen keyboard for those moments when you need to type in an email address or password. Currently the Apple TV can only support a single Siri remote, and this might be part of the issue—perhaps the iPhone can’t pretend to be a Siri remote with the current version of tvOS software. But if that could be solved in a future update, it opens up a lot of possibilities. Not only could people buy a second Siri remote to use as a second game controller for multiplayer games, but an iPhone could also be used in that capacity. Plenty of Apple TV apps can use an iOS device for control, but it's on an app-by-app basis. Right now, you can use an iOS device as a remote controller for Apple TV apps, but it’s only on a per-app basis. If you want to play Beat Sports with multiple players, you have to download the Beat Sports Remote. Same with Crossy Road. While some apps (like SketchParty TV) really do make use of the iPhone interface, Crossy Road (in two-player mode) and Beat Sports Remote are largely dumb vessels for input to their corresponding Apple TV app. That seems like a waste. Instead, why not build an Apple TV Remote app that lets any iPhone act as an additional Siri remote for two-player games? It makes a whole lot of sense. And that, along with the long, complicated strings of my high-security Internet passwords, are why this feature has rocketed to the top of my Apple TV wish list.